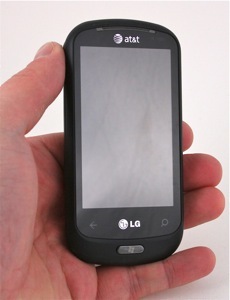 The LG Quantum combines mostly good hardware with a solid smartphone operating system. Though it still looks a bit too much like a feature phone for my tastes, I am sure many people won't look at it that way. The Quantum is heavy and dense, but offers a roomy QWERTY keyboard for messaging and a fantastic display. The Quantum performed well at the basics (signal strength, call quality and battery life), and was fast and responsive throughout the user interface. Even the camera and video player stepped up to the plate and delivered a solid base hit. Microsoft's fledgling smartphone platform still has weaknesses, such as limited landscape support, and lack of cut-and-paste, but those are mostly forgivable for now. WP7's messaging toolset is excellent and there are already plenty of third-party apps in the Windows Phone Marketplace to get you started with social networking, as well as fill in other gaps within WP7. Would I recommend the LG Quantum? Yes, yes I would. It's as solid a smartphone as any on the market, though it's not a quantum leap forward.